for groups, individuals, companies, etc. to Scandinavia when you visit southern Sweden. "Scania is like a cultural piñata." Scania is one of the most varied provinces in Sweden. It constitutes the southernmost 3% of the country and has much more than its fair share of everything. 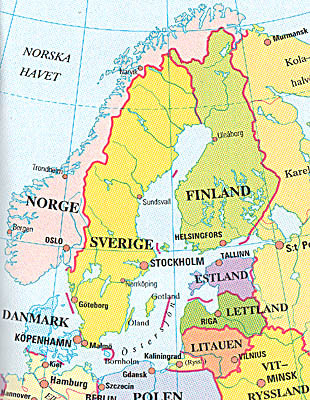 It's also the part of Sweden that is closest to the European main continent with ferries to Germany and Poland, and Denmark can be reached both by ferry and by bridge. If your flight takes you to Copenhagen in Denmark, you can board a train at the airport and some 15 minutes later you will be in Scania, Sweden. » People have been living in Scania since 12.000 years back in time. » Scania was a Danish province until 1658, when it was handed to Sweden in a peace treaty. » This is the geographic centre of the EU. » If beautiful scenery littered with cultural remains is your thing, I'm your guide. » If castles and mediaeval churches and history is your thing, I'm your guide. » If photography is your thing, I'm your guide. » Do you want to see elks? Storks? Spend the evening eating smoked eel with six kinds of schnaps? I can take you to the nicest places and give you a real treat for one or several days. I will take up to three guests in my own airconditioned car, or arrange for a mini-van or bus transport for larger groups. You do get a lot more out of your visit in the company of a knowledgable person who can tell and explain about the places you see. I can also suggest places and sights depending on the time of year, etc. to make your visit most meaningful and memorable. Generally speaking, May and June are the most beautiful months for a visit, but I can make any time of the year a good time if only you are open to suggestions. I am a Scanian since birth and I have lived and worked here all my life ( except for a couple of years spent in India and southeast Asia ). I was a high school teacher for 11 years, but I gave that up for photography and freedom among other things. For many years, I have been taking pictures of Scania and making slide shows, lecturing, reading about lots of places and things, seeing the landscape all year around. Guiding is in a way a complement to my slide shows and lectures, which is part of my business during the autumn and winter season. Some years ago, I went on a day tour to take pictures and a friend of mine came along. When we returned home he said:" I've learned more today about Scania than in my entire life before today." Then I got the idea to expand my business by offering to be a guide -- for those who are interested. The costs for various arrangements / guiding will be calculated depending on your requests. 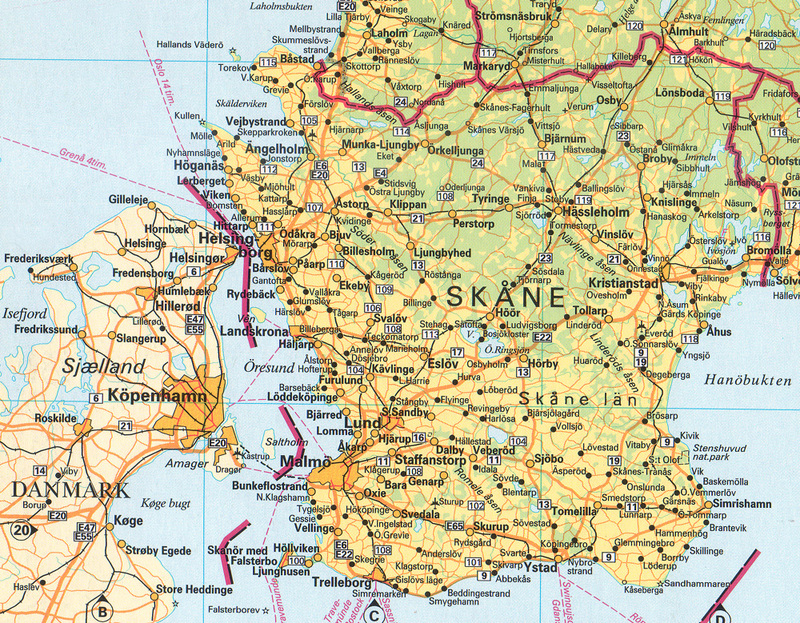 As you can see on the map, Skane has a ring over the A. 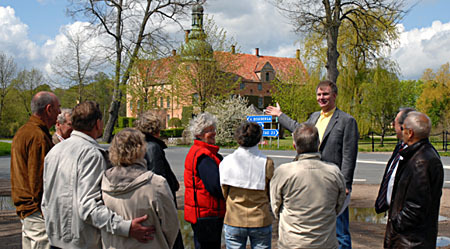 The Swedish pronounciation of Skane is very similar to Skawne when using English spelling.